For the first time in the current dispensation, the North-Central geopolitical zone of Nigeria is not only taking a keen interest in who becomes the Speaker of the House of Representatives, it appears also interested in having the position. Although elected members from other parts of the country have equally shown interest, the cry from the North-Central geo-political zone appears to have been the loudest. To underscore their seriousness the zone, Daily Sun gathered, is rallying round a high ranking member from the zone for the position. This, pundits say, is an attempt to send a strong message across that it is not only in the race as a process for negotiation for other positions, but that it knows exactly what it wants and who it wants for the position. Since the conclusion of the last elections, six persons have indicated interest to become Speaker of the 9th House. 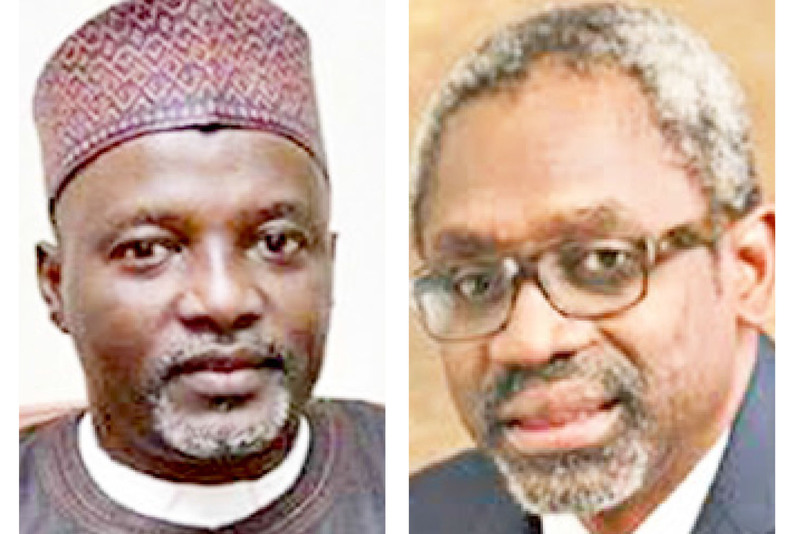 They are: House Leader, Femi Gbajabiamila from the South-West zone, Babangida Ibrahim from the North-West and Ahmed Idris Maje from the North-Central. Others are: Mohammed Tahir Monguno and Abdulrazaq Namdas, both of whom are from the North-East. However, while Gbajabiamila’s aspiration may be hampered by the fact that the vice president is from his zone; coupled with the fact that his zone is also angling to produce Deputy President of the Senate, and Ibrahim by the fact that the president comes from his zone, Maje has no such encumbrances. Monguno and Namdas aspiration may also be encumbered by the fact that North-East is also being considered for the Senate presidency. While others who have indicated interest in the position are yet to clear from their zones, what stands out in the clamour by the North-Central is that it is almost unanimous that Ahmed Idris Maje, the member representing Wase Federal Constituency of Plateau should be the speaker, Daily Sun gathered. The All Progressives Congress (APC), North-Central caucus in the House of Representatives, in order to clear whatever doubts that may arise, made it clear that it is in the overall interest of the country that the speakership be zoned to the North Central. One of the leaders of the caucus, John Dyegh at a press conference in Abuja, said it is only fair for the party to cede the position to the North-Central zone, adding that, doing that would foster national cohesion, balance and federal character principle in Nigeria. Dyegh on behalf of the caucus also argued that another thing that the party must consider is that, North Central voted massively for the APC in the last general elections, and as such deserves to be rewarded for its loyalty to the party. He further said that the submission of the caucus is supported by the fact that the North-Central zone voted massively for the APC in the last elections and came third on the scale of regions that voted for the APC candidate in the presidential election. According to him, the zone needs to be properly situated to play an equally significant role in the scheme of things, adding that, this is also helped by the fact that the North-Central zone is about losing the Senate Presidency and many feel it would only be right if the zone is compensated with the speakership. Pundits are also of the view that since the North Central geopolitical zone contributed to the growth and stability of the current legislature and by extension, Nigeria’s democracy; it would not be fair leaving it out in the lurch in the next dispensation. While no member from the North-central zone has been entrusted with the highest position in the Green Chamber, the zone has given a good account of itself at the Senate. Daily Sun recalls that the Senate has had people from the zone like John Wash Pam and Ibrahin Mantu from Plateau State as Deputy Presidents of the Senate and later Iyorchia Ayu, Ameh Ebute, David Mark and Bukola Saraki as Senate presidents. Interestingly, even groups from outside the North Central are beginning to agree with that the zone is justified to make the demand. For instance, a group, the Coalition of Youth Democratic Forces in Kaduna, last week called on the national leadership of the APC to zone the position of the Speaker of the House of Representatives to the North Central zone. The coalition said its position was based on the fact that the geopolitical zone has contributed immensely to the victory of the party in the just concluded presidential and National Assembly elections. Coordinator of the group, Yahaya Lisma said in the history of the Nigerian legislature, it is only the North Central zone that has not produced the speaker for the Green Chamber. Lisma noted that with the North East at the forefront of being given the position of the Senate President because of its contributions to the party’s victory at the polls, the North Central should naturally be considered for speaker. He went further to say that “this is because the North Central produced the third highest votes during the presidential election, the first and second being North West and North East. These two regions are already accommodated, so North Central is the next. “We also understand that some people are making frantic moves for the position of speaker to be zoned to the South West. But we want to caution the party not to tread that path because the South West is already taken care of,” the coalition said. It said the North Central zone has ranking members that can effectively handle the office of the Speaker without any rancour. Another group, Plateau Proactive Youths (APY), even went farther than that as it called on Governor Simon Lalong of Plateau State to support the bid by Maje to become the speaker of the House of Representatives. The group in a statement by its National Coordinator, Timothy W. Dungs said the position of speaker of the House of Representatives would put Plateau on the high scale of national politics and facilitate many projects and employment opportunities for the people of the state. The National coordinator in a statement in Jos said for a state like Plateau which is in need of development and federal presence, the opportunity of having a high ranking member like Maje who is going to the House for the fourth time comes with huge advantages that should not allowed to pass. He said Maje in the years he has been in the House, has demonstrated to his constituents that good governance and quality representation are possible by embarking on programmes that have positive impact on his constituents. The group further said Maje “has shown commitment in improving the plight of his people through commitment to quality education, health, youth empowerment, infrastructural development and quality representation of the interest of his state at the national stage. “He is humble, sound and has a passion for the unity and peaceful coexistence of Nigeria, so Plateau cannot afford not to support him and we call on Governor Simon Lalong who knows the value of sound legislative experience to give him all the support as that would accelerate both human and infrastructure development in the state,” the group stated. Also, former members of the House of Representatives from the North Central have also endorsed the bid by Maje to become the next speaker of the House. A former member of the House of Representatives, Lumumba Da-Adeh, who disclosed this to newsmen in Jos, said former House of Representatives members from the North Central zone who have served in the House at one time or the other are fully behind Maje in his bid to become Speaker of the House of Representatives. Adeh, who represented Jos North/Bassa Federal Constituency from 1999 to 2003, said Maje possesses the quality of a high class lawmaker with the capacity to effectively preside over the House. “We already have a capable president who is assisted by an equally able vice president, so the process of putting round pegs in round holes must be replicated at all levels for the party to achieve what it promised the electorate. “After nearly 20 years of uninterrupted democracy, Nigeria has passed the stage where it can be said to be learning, so we need experienced people to preside over the affairs of the legislature to establish the synergy needed by the three arms of government for the growth and development of the country,” Adeh said. On why the former legislators are particular about Maje, the ex-lawmaker explained that the current configuration of the political structure of the country favours the North Central to produce the speaker. “The president is from the North West while the vice president is from the South West. The Senate president may likely come from the North East so the North Central should have it. And if you look at the elected members from the zone you will see that Maje stands out because of his years of experience, commitment to the party, sense of organisation and leadership qualities,” Adeh added. Ahmed Idris Maje won election to the House of Representatives in 2007 and since then his people have seen reasons to be returning him to the House due to the widely acclaimed way he has been seeing to the upliftment of his constituents, Daily Sun gathered. Within, the House, he has served as chairman of the Committee on Federal Character and had been a member of several committees. He was later appointed Deputy Leader of the House. He is known to have always delivered his constituency to his party since he became a member of the House of Representatives in 2007 and is one of the strong pillars of the APC in Plateau State with his constituency consistently voting for President Muhammadu Buhari and the APC in all elections.